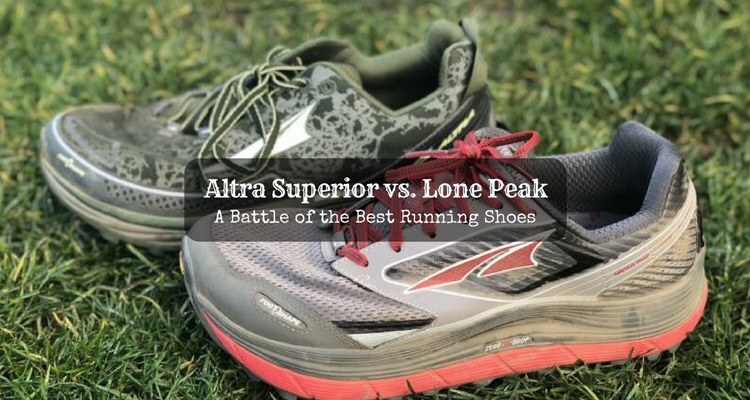 →Toaks VS Snow Peak: Which of the Two is the Best? 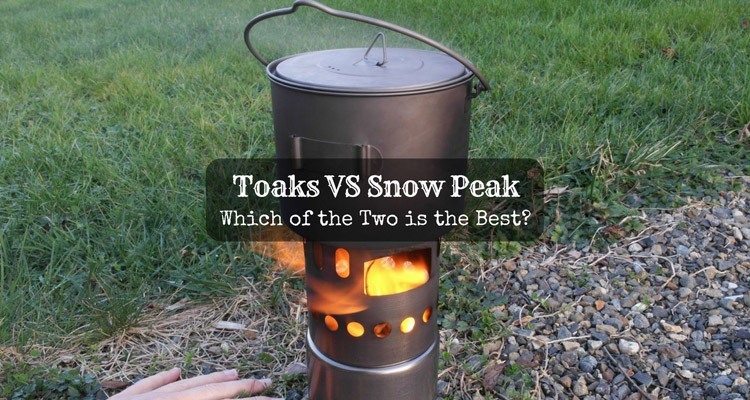 Toaks VS Snow Peak: What makes them the backpacker’s choice? I have tested both of these brands, and I honestly agree that they are outstanding when it comes to durability and design. 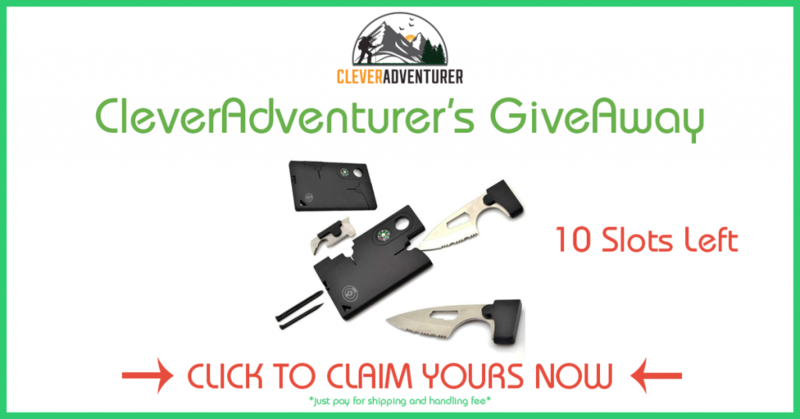 Nevertheless, seeing the comparison will even more give you the chance to learn how suitable they are to bring with you on your camping trips. In my search for the apt backpacking cookware, I have prepared a fair and detailed assessment for you to evaluate. 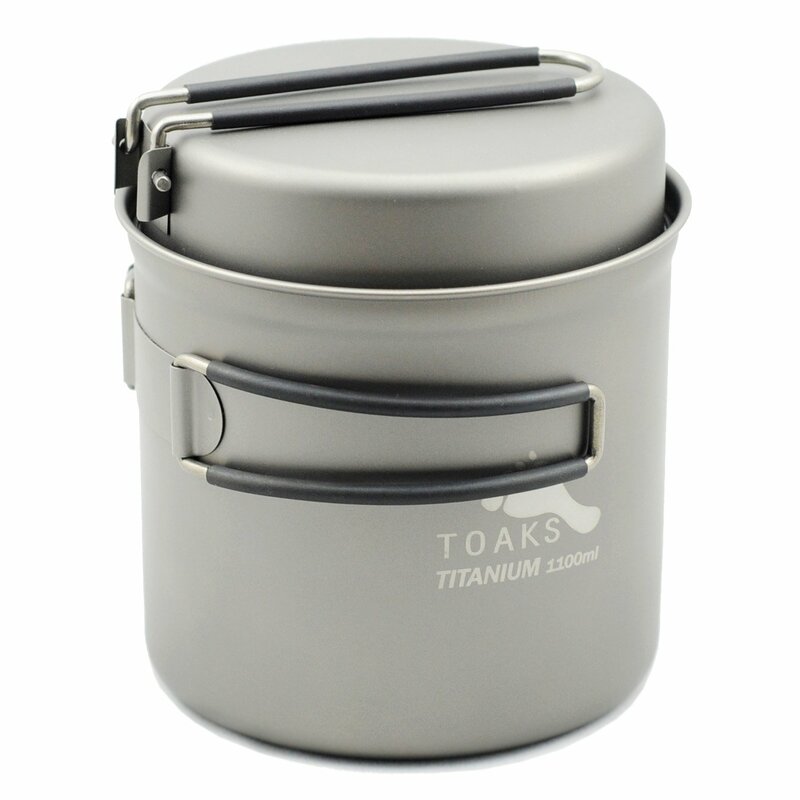 Toaks Hiking/Backpacking cooking set consists of a picnic bowl, pot, and a pan. The material itself is titanium, is corrosion-resistant, and lasts for a long time. Besides, it does not leave any metallic odor or taste. The design is perfect for limited space. See that the pan serves as a casserole and the lid. For convenience, the long handle decreases the danger of burning accidents, and it folds for compressed packing. For convenience, the pot has graduated measurement markings as a guide. The round bottom edges give easy access when cleaning as well as improving the heat efficiency during cooking. I highly recommend this as excellent for outdoors especially to backpackers who love the extremes. It is a bit expensive, but it proves to be worth the investment. Here is an actual demonstration how it works. The Snow Peak Cook Set is also a titanium material cookware that comes with a folding handle pot and lid. As you can see, the pot has measurement reference for a guide and a three-in-one; it serves as a pot, a mug or a bowl. The handles getting hot is a bit of a downside, but this multipurpose cooking set is ultralight and is perfect for any outdoor adventure. You can conveniently pack it together in your rucksack. With its mesh stuff sack, it is a design that suits super lightweight backpacking. Just do not mind the price, It is worth it; as I have said, titanium is super light, does not rust and do not leave an after taste, so it usually is expensive. Proves to be durable and dependable to last a long time, you can use it with fire, coal or stove and still withstand. 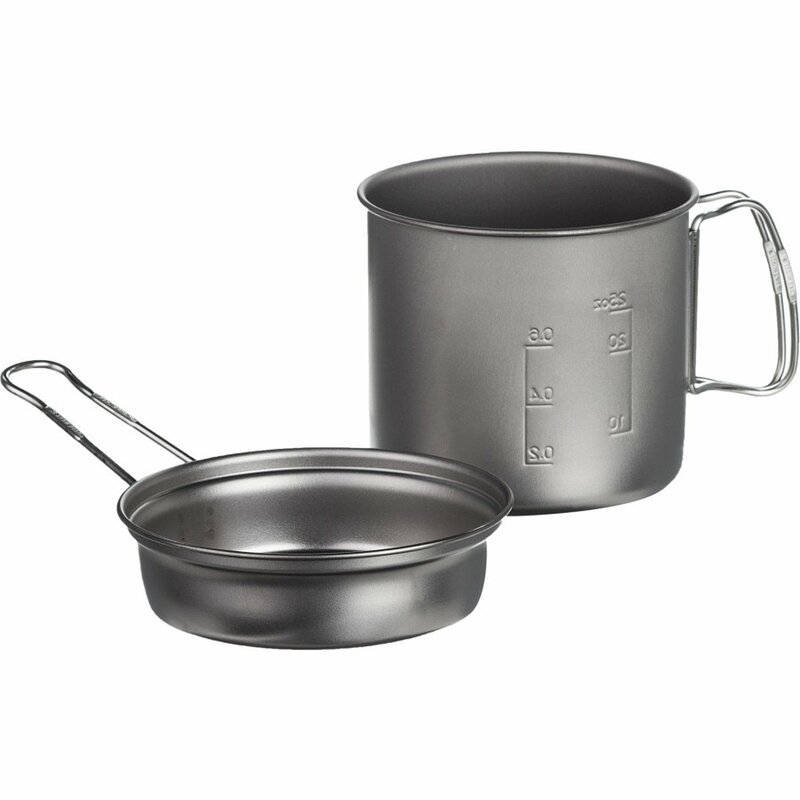 The pot fits with many stoves and cleans up easily, so it is quick use, pack, and go! 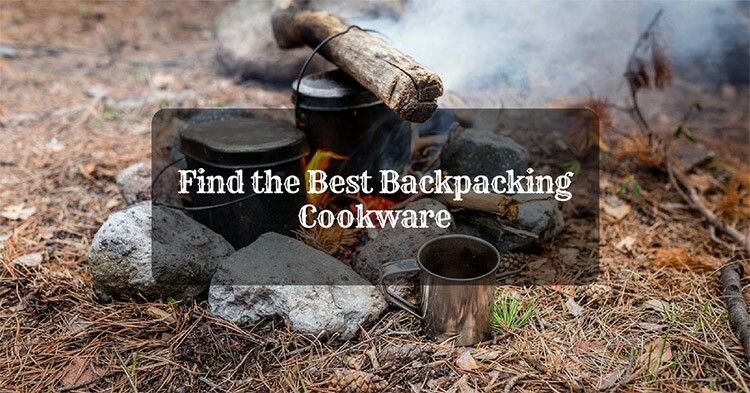 ​​​​​​Find the Best Backpacking Cookware of 2018 Here! Here is a video demonstrating on how it works. Have you been thinking twice too? Both Toak and Snow Peak are worth to bring in every camping trip. 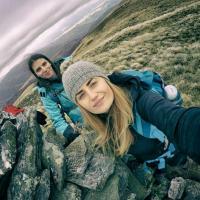 As I have searched and asked my backpacker friends, any of the two would be perfect. However, I need to take a pick. Since they are similar with their awesomeness, I took time to search for their difference. Finding them helps in giving the verdict. For me, Toaks Cookware is my final choice. See the chart for a short comparison resulting to a few critical downsides. Pot handle is a good fit and does not make any noise. The handle shape is safe not to get me burned. I can hold the top with my fingers far from the hot pot body. Pot handles are loose and noisy. The handle shape is not safe. My fingers have a chance to touch the hot pot body upon holding it. On top of it all, I like it that Toaks specializes mainly on high-quality titanium outdoor gears. They also have accurate and complete information of every product they have including updates on latest release. 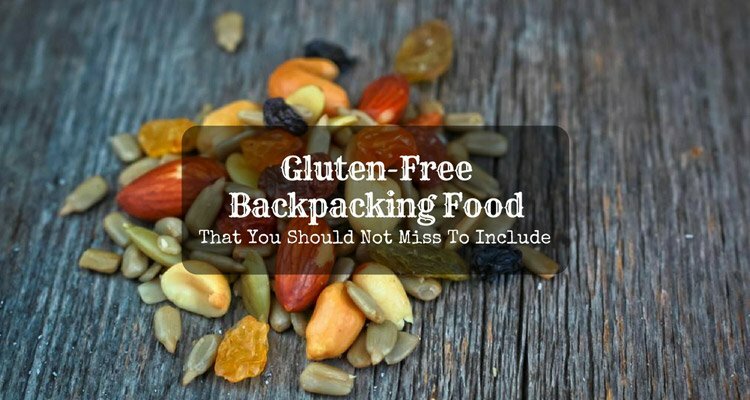 I am a backpacker, so I favor manufacturers who are experts solely in supporting the area that I am interested in the most. Honestly, both are more than enough to meet my needs when camping. What I consider essential for backpacking cookware is how light and compact it is to fit in my pack. The durability and quality come next. Titanium proves to be sturdy and long-lasting, so I need not argue on that. How about you? For Toaks VS Snow Peak, I wonder what your pick is. I am sure you have your own opinions about which is the best. I will be glad if you can add on some inputs that I may not know about. Drop your comments and let us talk about!